Ruby lived in Western Wisconsin for 89 years. Although she had little, she always shared what she had with others. She had a large garden that was grown in the sandiest soil you have ever seen. But God always blessed Ruby with a great harvest. She could also be found picking wild blueberries and canning and freezing other berries. Although not blessed financially, Ruby was rich because she always had enough to share. She truly was the example of someone who realized that if you only have enough for yourself you don’t have enough. If she only had one dollar in her purse, she’d some how give you two! Ruby looked for every opportunity to share food from her pantry with others. One Christmas the neighbors down the road with four children had no money or food. Ruby gathered food from her pantry and brought them a Christmas dinner fit for a king. Ruby had an even greater heritage. 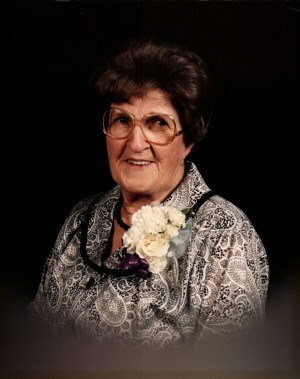 She was a child of God and a faithful member of the same little country church for nearly sixty years. Up until a short time before her death at the age of 89, Ruby still led weekly Bible studies in her home. She never quit giving to others. Yes, Ruby found something that money couldn’t buy. She found Jesus Christ and had the richest life possible, including peace with God. To activate people in being alert to the needs of others and to be proactive in encouraging faith, showing friendship and meeting tangible needs of neighbors, friends and strangers regardless of race, religion or ethnicity. We believe the scriptures, both Old and New Testaments, to be inspired Word of God, without error in the original writings, the complete revelation of His will for the salvation of men, and divine and final authority for all Christian faith and life. We believe in one and only one God, creator of all things, infinitely perfect and eternally existing in three persons: Father, Son and Holy Spirit. We believe that Jesus Christ is true God and true man, having been conceived of the Holy Spirit and born of the Virgin Mary. He died on the cross, a sacrifice for our sins according to the scriptures. He arose bodily from the dead, ascended into heaven, where at the right hand of the majesty on high, He is now our High Priest and Advocate. We believe that the shed blood of Jesus Christ and His resurrection provide the only grounds for justification and salvation for all who believe, and only such as receive Jesus Christ are born of the Holy Spirit and thus become children of God. We believe that water baptism and the Lord’s Supper are ordinances that are to be observed by the Church during the present age. They are, however, not regarded as means of salvation. We believe that Jesus Christ is the Lord and Head of the true Church, and that every local church has the right, under Christ, to decide and govern its own affairs. We believe in the personal and premillennial and imminent coming of our Lord Jesus Christ and that this “Blessed Hope” has a vital bearing on the personal life and service of the believer. Sign up to receive the latest ministry updates, praise reports and needs.